Located in Pretoria, 2.1 km from University of Pretoria, Chancellor's court provides an outdoor swimming pool and garden. Boasting a shared lounge, the guest house is close to several noted attractions, around 1.4 km from Greenlyn Village Centre and around 1.5 km from Austin Roberts Bird Sanctuary. 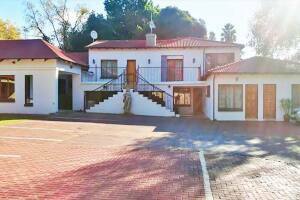 The property is non-smoking throughout and is situated 4.4 km from Union Buildings. At the guest house, the rooms include a wardrobe and a flat-screen TV. Each room includes a kettle, while selected rooms are fitted with a kitchen with a dishwasher and a microwave. All units will provide guests with a private bathroom with a hot tub.A a la carte breakfast is available each morning at Chancellor's court. Enjoy the professionalism of our dedicated team to serve you in style but with the personal attention as to that of a long forgotten friend. The elegant Cape Dutch wine-farm setting renders you to an atmosphere of tranquility and relaxation whilst catering to your every need. 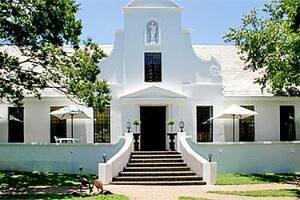 Our facilities are designed for all visitors from the discerning businessman to well-travelled tourists and families.